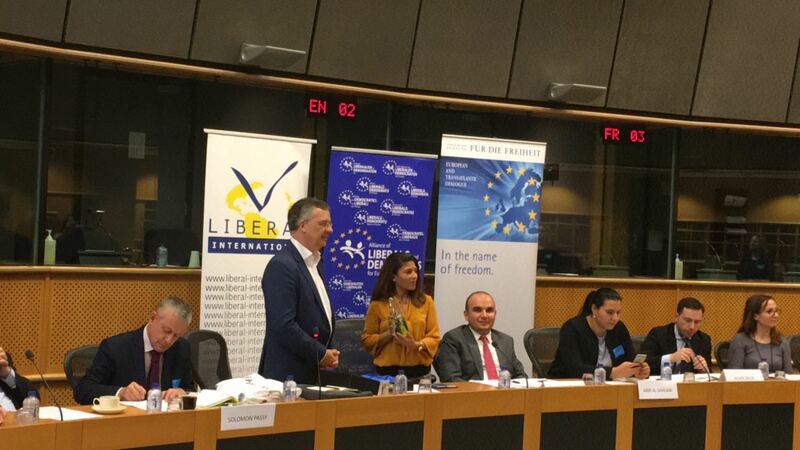 Ensaf Haidar – author, co-founder of the Raif Badawi Foundation and the wife imprisoned human rights icon Raif Badawi – has today received Liberal International’s (LI) 2016 Prize for Freedom on behalf of her husband at a special ceremony in the European Parliament in Brussels, Belgium. 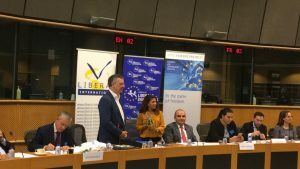 “Raif Badawi, who is living through his fourth year of imprisonment, has not committed any crime; he simply wanted to exercise his right to freedom speech. All he wanted, and still wants, is a peaceful transition in his country. He wanted reforms in his country and he announced that publically hoping that the government will listen. “I would like to extend my great thanks and recognition for the work you [The Raif Badawi Foundation] are doing. With your Foundation, it gives hope to your husband and to others that individuals can stand and make a difference. “Raif Badawi’s unjust imprisonment and cruel treatment constitute a standing violation of his fundamental rights and freedoms – an assault on freedom of belief and expression, on prohibitions against torture, on the right to a fair hearing – in a word, the criminalization of freedom. *Raif Badawi was arrested in 2012 on a charge of insulting Islam through electronic channels and brought to court on several charges including apostasy. He was sentenced to seven years in prison and 600 lashes in 2013, then resentenced to 1,000 lashes and ten years in prison plus a fine in 2014. The lashes were to be carried out over 20 weeks. Previous recipients of the LI Prize for Freedom include Aung San Suu Kyi (Burma/Myanmar) , Benazir Bhutto(Pakistan), and Waris Dirie (Somalia). A full list, dating back to 1986, can be found here. 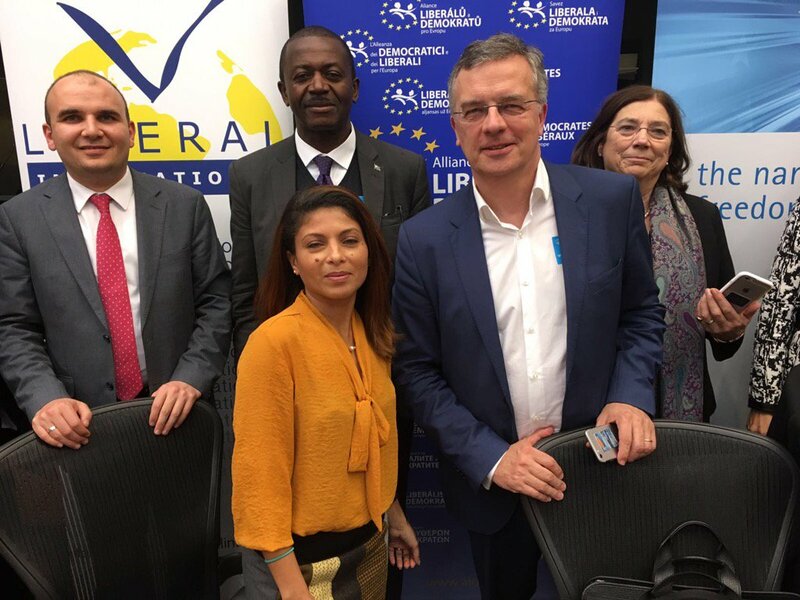 Liberal International (LI) is the world federation of over 100 liberal and progressive democratic political parties and affiliates. LI was founded in 1947 to strengthen liberal protection from totalitarianism and communism. It is the only one of the major political internationals with a dedicated human rights committee that actively participates in the working mechanism of the United Nations Human Rights Council.